If you’ve read Hurricane Gold then you should have noticed a few hints to James Bond’s future adventures including most notably the fifth, and currently untitled, Young Bond adventure. Coming in the form of letters sent to James, the reader is given clues to what Young Bond may be in for including the name of the legendary maid first mentioned in You Only Live Twice and a setup for life after Eton College. The following reveals those clues and speculates on what they may mean. Read at your own risk. During Hurricane Gold James Bond receives three letters from his friends at school. The first is a letter from Pritpal explaining that after an event in Double or Die, Katey the maid has decided to call it quits. Replacing her is Roan, a young maid rumored to be seventeen years of age. As you’ll recall in You Only Live Twice, M writes that Bond was moved from Eton to Fettes per his Aunt Charmian’s request due to alleged troubles with a maid. Obviously Roan is that maid or so it would seem anyway. This leads us to the second letter that is sent to James, this time from his pal Perry Mandeville who played a significant role in Double or Die. Due to a crackdown on the Danger Society while James was away, Perry protected the whole lot and essentially got himself expelled. His father has thus moved him on to another school and ironically this other school is Fettes in Scotland where, once again according to You Only Live Twice, Bond ends up after his adventurous career at Eton is over. 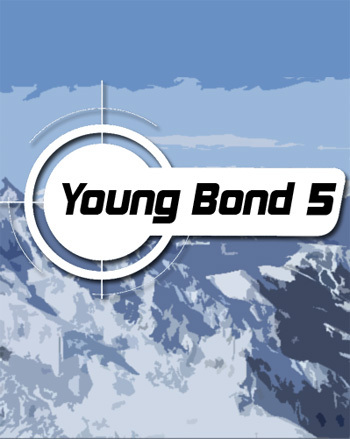 This brings up the question of whether after Young Bond book 5 Charlie Higson or another writer will continue on the Young Bond series. “Young Bond II: The Fettes Years” or so on. I would actually bet on it, though in a recent Q&A session Charlie seemed more keen on writing about Bond during another point in his life. 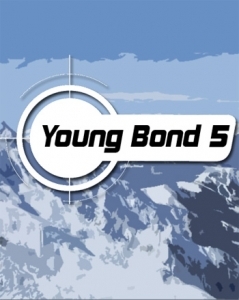 Who knows, but Young Bond has been incredibly popular in England (unfortunately not in the US, yet…) and everyone seems to be happy with Higson’s books thus far. I know I am anyway. I wouldn’t dismiss the possibility.